Kid Koala team up with vocalist Trixie Whitley on the surreal "All For You"
Kid Koala (aka Eric San)'s latest venture is a 70-minute long epic sequel to his Music To Draw To: io series. The project is expected to be released early next year, but in the interim he teases us with an excellent collaborative single "All For You" with vocalist Trixie Whitley. Kid Koala goes into an unorthodox zone for this song as he keeps it somewhat engaging and minimalistic at the same time. The layered instrumentation builds up slowly, while Whitley's powerful vocals gradually cascade with her heartfelt lyrics. To box it into a singular genre doesn't do it justice, but the project leans more towards ambient R&B. Regardless of classification, it's a solid track from start to finish. Music To Draw To: io volume 2 is slated for a January 25, 2019 release, and features Trixie Whitley on six of its 18 tracks. 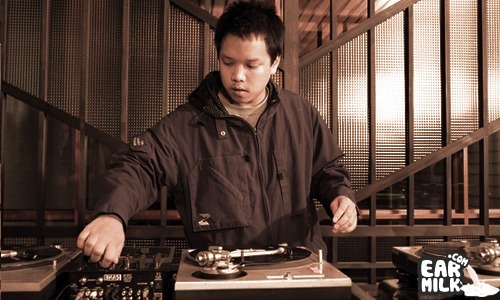 The album series originally grew out of Kid Koala’s community art/ambient events (held annually and now in their tenth year) and has spurred the Satellite Turntable Orchestra concept, both of which San tours globally. You can catch him on tour here.